I was just thinking about Christmas and my decision years ago to start my own holiday traditions to make the holiday big. My parents were practical with not much hullabaloo around the holiday and just a few gifts under the tree. After all, we were in business and worked day and night for weeks prior to Christmas, so Christmas Day itself was quite simple. We opened gifts, visited my grandparents, and came home for a piece of fruit cake, and a well needed rest. But when I started my own family, I wanted a big Christmas. I was “over-the-top” regarding gift giving, decorating, and entertaining , filling some sort of void in my life that only a therapist may one day explain. Taking weeks off before and after Christmas so we could enjoy every moment, I entertained, over decorated and over purchased. I started an annual Christmas joke on our best friends which became a major production each year, and began writing an annual Christmas poem. I knew the holiday had taken a life of its own when I had to start preparing in mid-July! And so it continued until last year when it was obvious–I was truly out of control. I purchased four-foot long stockings for my 12 grandchildren and filled them with gifts. I shipped 12 large boxes of wrapped gifts to Woodloch Pines where we were gathering for Christmas. The little ones were ecstatic; my adult children were horrified!!!!! I think that was the final straw for my children. They forbid, actually forbid, me to purchase more than one gift per grandchild this year. So, the holiday extravaganza no longer continues. Bowing to the wishes of my children, each grandchild has just one gift from me. Frankly, returning to a more simple Christmas, I find myself less “wound”. I bought fewer gifts and mailed fewer Christmas poems. I didn’t treat myself to the “small appliance-of-the-year” as I usually do. And I gave only one, small Christmas party. This was a much simpler Christmas , much like what I remember as a child, the only thing missing was my mother’s fruit cake. 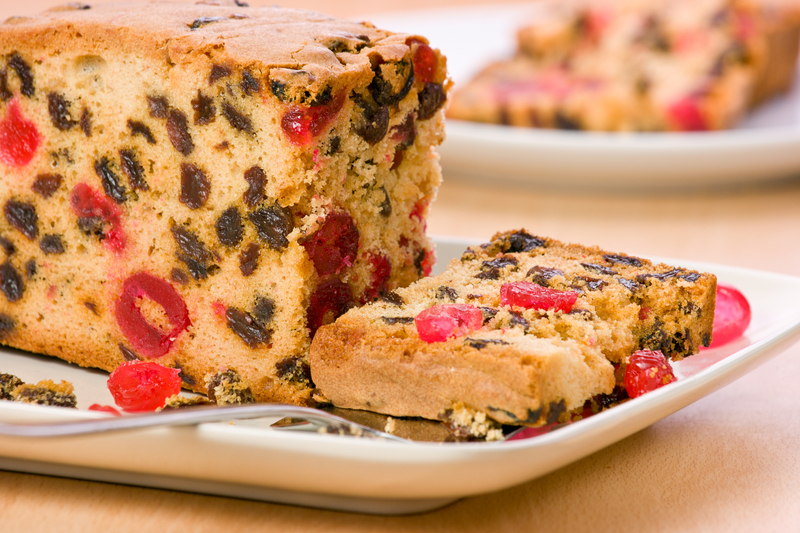 Years ago, fruit cake was a Christmas staple. Everyone baked the hard pound cake with hideous bits of dried and candied fruit soaked in alcohol. Most people made it with a little bit of fruit so you could at least pick out the gross fruit bits and enjoy the pound cake. But not my mother!! !–Her fruit cake was a solid block of candied fruit! When I was a penniless-graduate student with three infants under the age of 3, I desperately needed my mother to send Pampers; she sent a fruit cake. Fruit cake has no redeeming value! It has no frosting nor a creamy filling between the layers. As a matter of fact, there are no layers. It doesn’t even go well with ice cream on the side! My mother never missed a Christmas when she didn’t bake fruit cake for her family and friends. And I never missed a Christmas where I did! Women with high SUCCESSTROGEN set the tone for their lives, usually based on what they liked and didn’t liked in their childhood years. Some choose the hectic life and others sign on to a more even-tempered life. The key is that they make the choice that best reflects their needs. And so it is with Christmas….we all do it our own way, and live with the joy and/or consequences. I lived the hectic, chaotic Christmas for many years and it served my family well. But I must admit I am thoroughly enjoying this year’s scaled-down, less crazy Christmas. This is a Christmas that allows me time to observe the spirit around me, to actually listen to the words of Christmas carols I have been singing for years, and to reminisce about Christmas past. As a matter of fact, I have so much time on my hands this year, I just might bake a fruit cake! May I send you one? This entry was posted in Uncategorized and tagged choices, Christmas chaos, Christmas past, Christmas present, Christmas traditions, fruit cake, gift giving, holiday anxiety, holiday traditions, Joy, personal choices. Bookmark the permalink. Well I for one love fruitcake! Your words imply to me that you are acceptant that your children let you know that you are the gift for their children. That is really special. Communication is so underrated. Your comment “filling some sort of void in my life that only a therapist may one day explain”……. I spent yesterday with my sister and we talked through so many subjects that it was good therapy. We laughed, we cried, we reminisced and we planned. Happy New Year my friend! Thank you for your continued positive energy. with a few genuine thoughts on this subject. Really.. many thanks for starting this up.